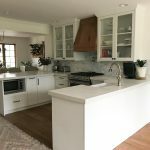 We admit it, everything that comes to mind when we hear “kitchen design process” or “kitchen project” is stressful: measurements, materials, styles, etc. 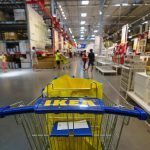 Well, today we went through all the important elements that you need to take into consideration while planning your IKEA kitchen remodel. MEASUREMENTS ARE KEY: Try to have all the important measurements ready. The more detailed they are, the better. Remember, designers are on your side. In order to make your dream kitchen a reality, they will need all the information you can give them. Be specific with your measurements. For example, it’s important to know the distance between the window and the floor so we know if cabinets will fit below (or not). A good kitchen design starts with accurate measurements. The kitchen sketch shows many details in a simple format. 2. GOOD PHOTOS MATTER: Designers use technology as an advantage and they may ask you to send pictures from the current kitchen. Remember that the most important photo is the one that covers the whole room. We know that taking this pic can sometimes be a little difficult, but try to squeeze all you can in one shot. Also, take pictures from all walls to show any difficult angles available. These photographs will give designers a good perspective of the space for your IKEA kitchen. 3. KNOW YOUR SPACE: Each kitchen is different, unique. In a way, your kitchen is not too different from you: you need to look for whatever suits your personality. The same happens while creating a new kitchen design . We need to know your kitchen better so we can do our best with the space. For example, an island would look beautiful in a big kitchen but it will be a disaster in an angled kitchen. 4. LIST YOUR APPLIANCES: make a list of what you have and spot those areas where you want to place each one. Take measurements of the height, width and depth of the appliances. Also, it’s important to take into consideration the location of the outlets and plumbing or gas pipes in the room. All this info is useful for kitchen designers. 5. SET REALISTIC EXPECTATIONS FOR YOUR KITCHEN REMODEL: Define what you want to achieve with your kitchen remodel. Talk to your designer and set clear goals: is the island really a priority if you’ll end up losing space to walk around? Will that new pantry reduce your counter space even more?